Today I have a special treat for you, but please forgive the pictures. You know the old saying, you can’t judge a book by its cover? Well this also goes for today’s recipe. Trust me, this recipe tastes out of this world and I am very proud of how it tastes. It’s hard taking picture of ice cream when it’s quite toasty out. The time frame for photographing seems like I have seconds. I don’t know how they do it on magazines, but in the real world, photographing ice cream when it’s 90 degrees out seems impossible. But with the heat, it tastes mighty refreshing. So with that said, let me introduce to you my Blueberry Ice Cream pie. As you can see the ice cream is melting. But it tastes so good. 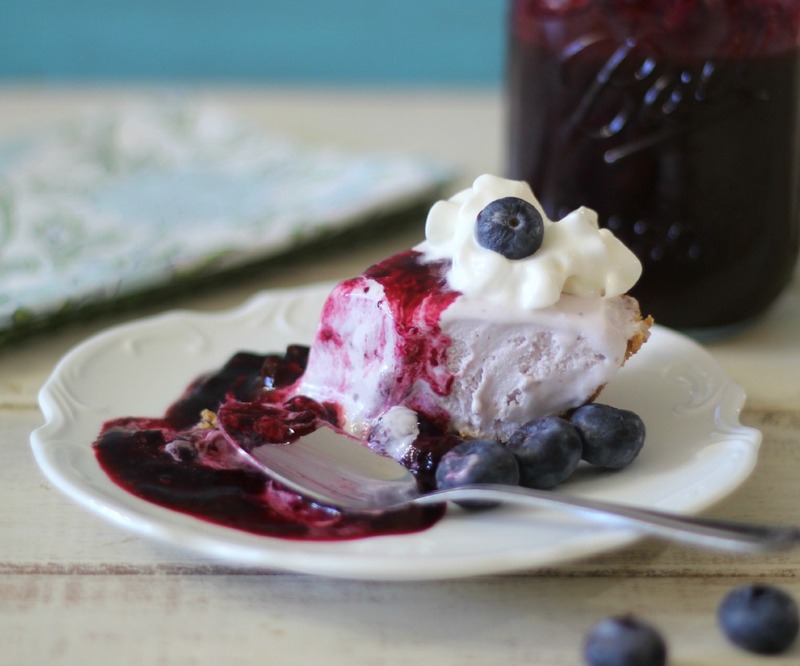 It’s light, fluffy and an amazing blueberry flavor and it’s topped with homemade blueberry sauce that is sweet and spoonable. 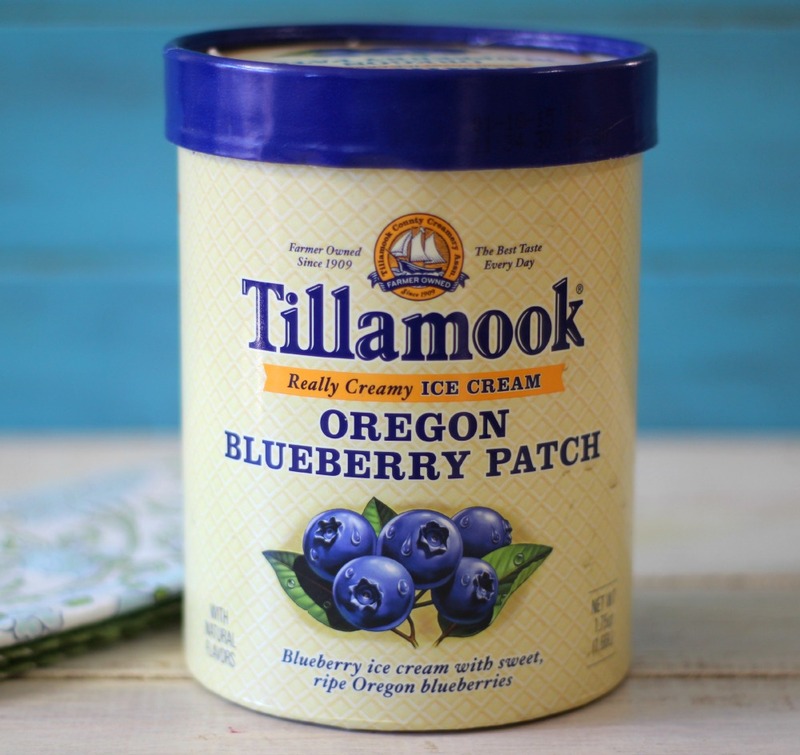 It’s made with Tillamook Oregon Blueberry Patch Ice Cream, which is my new favorite ice cream. I’m not a huge blueberry fan, but when I tried the ice cream I fell in love. It has a sweet blueberry flavor with little chunks of blueberry in it. Yummers! To make the ice cream pie I took the ice cream and mixed in with heavy whipping cream. 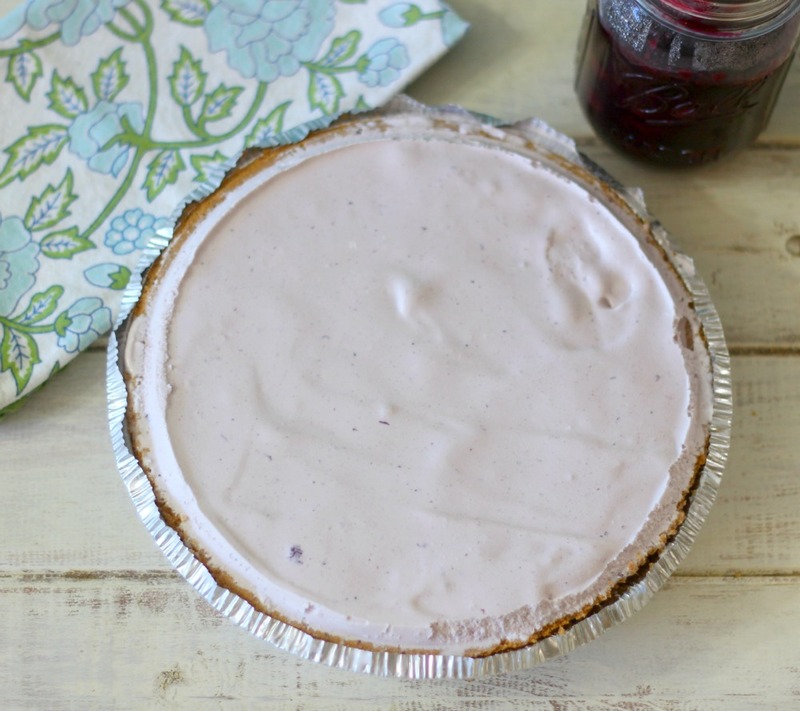 I placed onto a gluten-free graham cracker pie crust and popped it in the freezer for 4 hours. 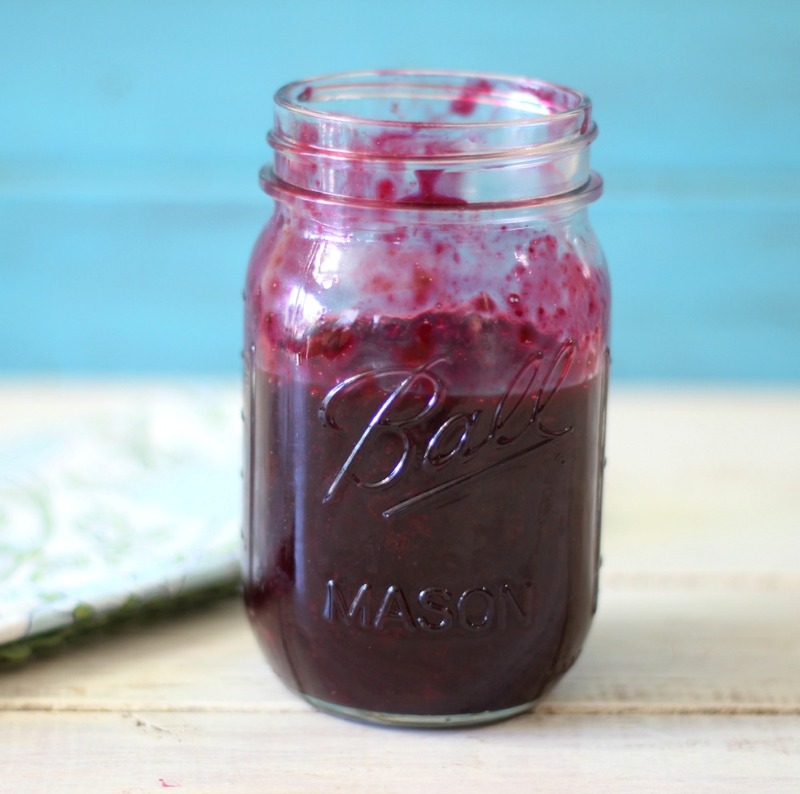 While that was freezing I made my blueberry sauce which is simply, blueberries, sugar and lemon juice. I heated on a skillet until it thicken up. Taste it to see if you need more sugar. I think the sweetness depends on the blueberries you use. Once the ice cream hardened I cut a slice and drizzled it with my blueberry sauce and topped it with a little bit of whip cream. After all I can always use more whip cream. Since I didn’t make a birthday cake for my birthday this year, this is what I had to celebrate. It’s the best of both worlds, pie and ice cream. Perfect combo. 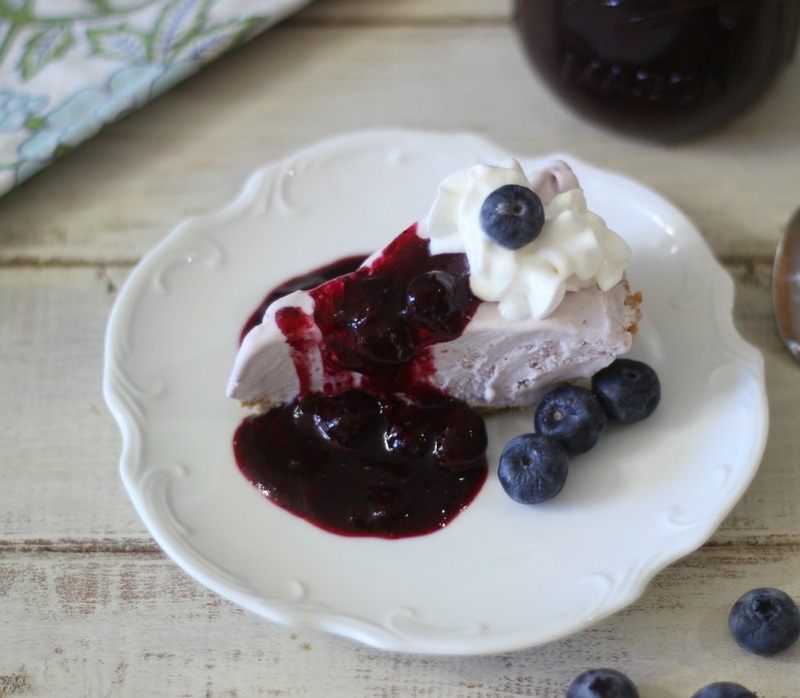 A light, fluffy ice cream pie made with blueberry ice cream, served on a gluten-free graham cracker pie crust and topped with a homemade blueberry sauce. In a mixer over high speed add whipping cream. Whip together until thick. Add ice cream and beat until combined. Spoon into pie crust an place in the freezer for 4 hours. In a skillet over medium low heat, add blueberries, water, lemon juice and sugar and cook until slightly thickened; stirring constantly, about 10 minutes. This can be made in advance, just warm in the microwave, if desired. Note: Taste test the sauce to make sure it is sweet enough for you. 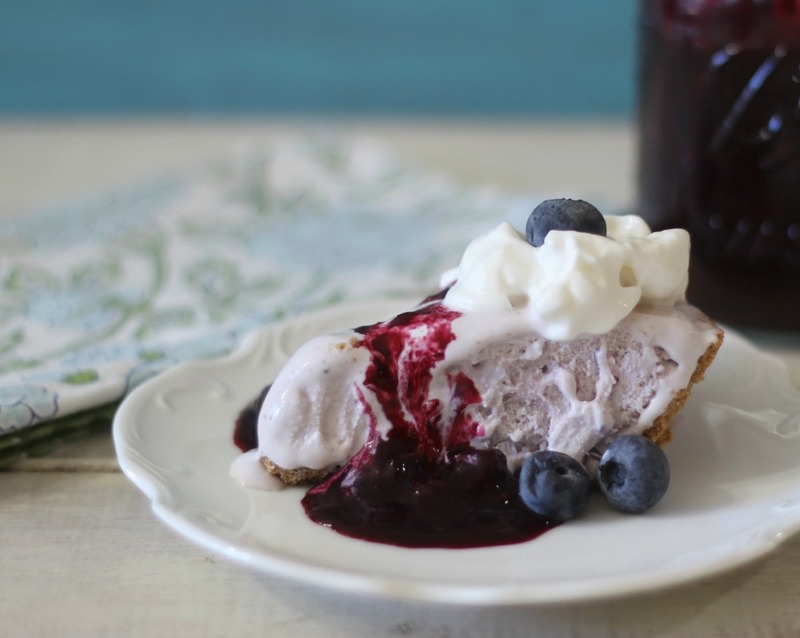 Cut ice cream into 10 slices and top with blueberry sauce. I bragged about this ice cream pie at work and now I have to bring them one. I am just wondering how I will transport an ice cream pie 25 miles. I will pack it in ice packs, and cross my fingers it doesn’t melt too much. But it should harden back in the freezer at work. As I said the pictures don’t look great, but I am very proud of it and it tastes super delish. A perfect summertime treat. Tillamook sent me ice cream and asked for me to make a dessert using fruit. All opinions are my own. This pie is unreal! Unbelievable!